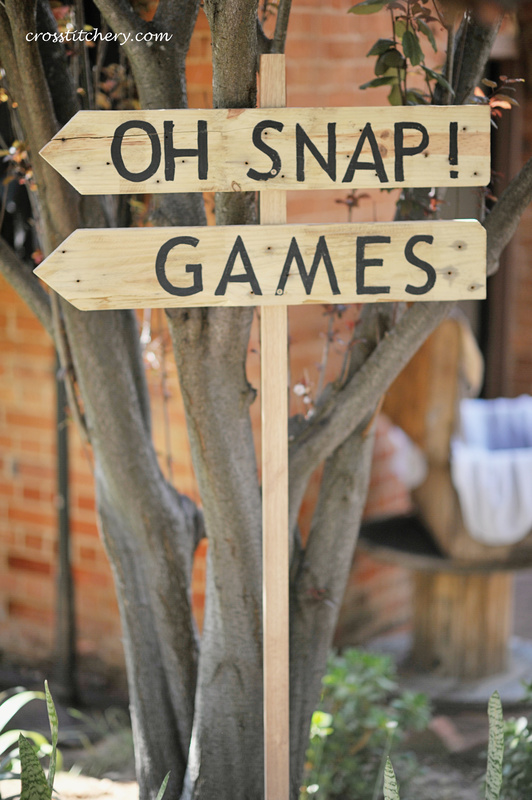 Mr A & I used pallets to create some directional arrows for our venue. Our ceremony and reception were held at the same venue, so we wanted to navigate our guests easily around. These were fantastic, because they were free! We sourced the arrows from around our neighbourhood, and Mr A cut and sanded them to create a simple arrow. I then painted them with a simple font, and ensured they were pointed in the correct directions. We had 1 arrow for the ceremony (‘I Do’s! 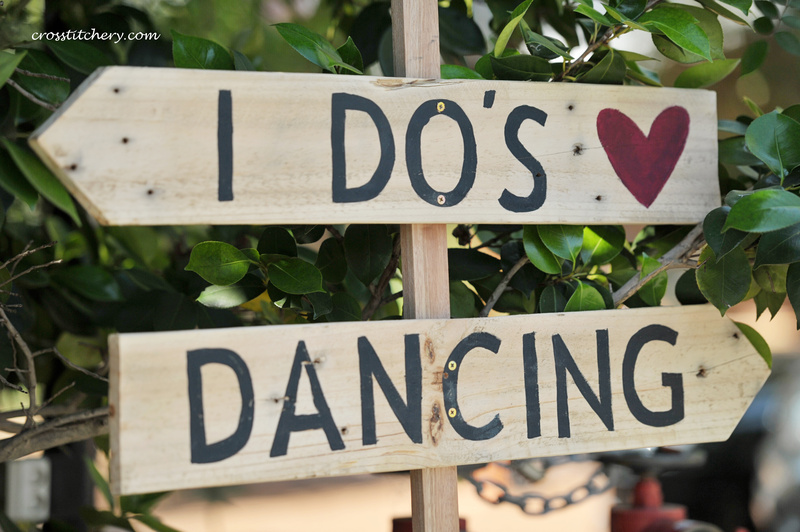 ), 1 arrow for the reception (‘Dancing’), 1 arrow for our photobooth (‘Oh SNAP! ), and 1 for our lawn games (Games). Now that you point it out, that’s all I can see too hehe! It’s funny how sometimes you don’t notice those kinds of things until someone else points it out .. A giant game of snap would’ve been awesome though!! Hi there, thank you for stopping by! And my goodness, thank you for the nomination too .. I’ll be sure to have a look! You’ve got great access to pallets then – how handy! I can’t take any credit for the idea at all .. But I can definitely say they were super helpful to guide our guests around our venue, and given that they were free – even better! Haha yes! So true ..